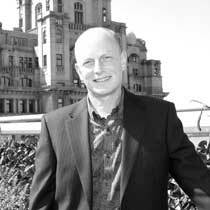 Peter has been a Director and Shareholder of Condy & Lofthouse Ltd since 1999 and a Registered Architect since 1985. He has experience with many different types/sizes of projects including Healthcare, Education, Housing, Commercial, Community, PFI, Refurbishment & Conservation with Listed Buildings. Peter has extensive knowledge in Healthcare, particularly mental health, both public and private sector. Peter has an excellent relationship with his Clients and continues to provide solutions to complex design challenges. He has worked on PFI projects at Nottingham and Lancaster, Nursing and Residential Care Homes for the Elderly, a new Mental illness unit at North Manchester Hospital, an Operating Theatre, ENT & Audiology Departments, Geriatric Ward, EBME, Health Centres and Doctors Residential Accommodation. He is a Trustee of a Charitable Trust and has 16 years service as a School Governor in the Manchester area.